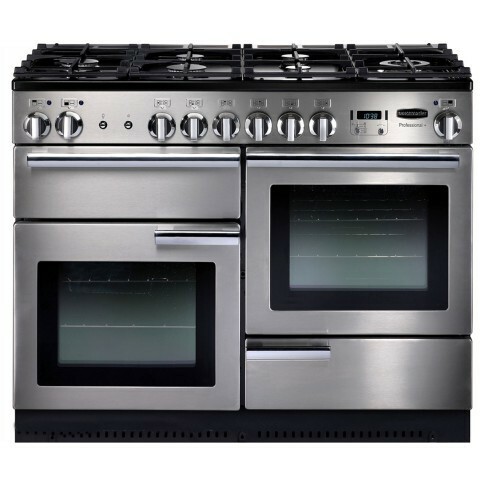 Rangemaster Professional LPG range oven in stainless steel. Measuring 89.8cm in height, 110cm in width and 60cm in depth. Featuring a flame failure safety device, wok cradle and burner, and push button ignition. This product comes complete with a 2 year manufacturer warranty.